Although the interior of the Hyde Park Art Center (HPAC) appears quite new, with its lime green walls illuminated with bright lights, don’t be fooled––last year marked the Center’s 75th anniversary. Earlier this year, however, thanks to a generous donation from the Guida family, HPAC was able to fund an expansion of the second story of its building. Along with the new space, named the Guida Family Creative Wing, HPAC has introduced several new initiatives that seek to further its mission; on November 8, they opened their doors wide to the public for several artist talks and presentations in the newly opened wing. Remodeled by the Art Center’s original architect, Grant Gibson, the second story Creative Wing is filled with exciting new spaces, which Nourse explains include a large, open hall “available for artist talks, presentations, even critiques, and for the public and our community to use in different ways,” as well as a sculpture garden, and allows for more in-studio interaction with artists-in-residence. 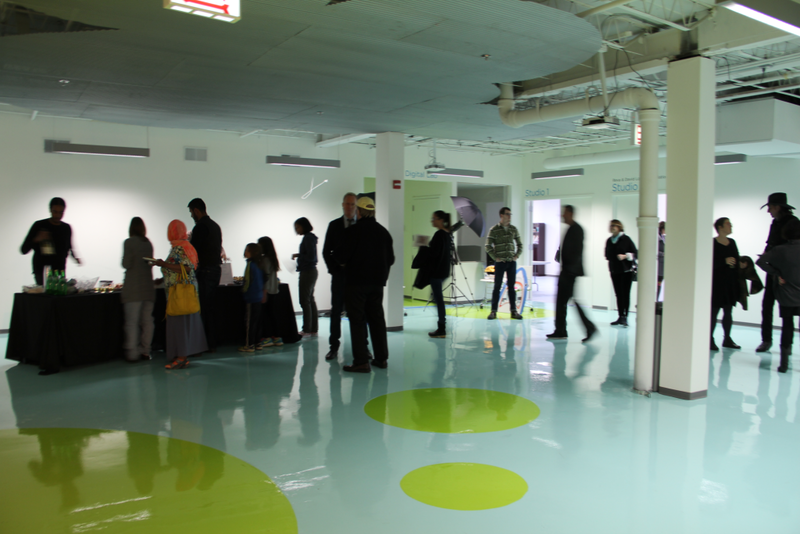 Although the Thurow Digital Lab did exist before the wing renovation, it has been moved up to the second floor and remodeled as a space for hands-on arts learning for students of all ages. Scott Tavitian, a Columbia College Chicago student, who teaches one of the art technology classes in the lab, says that his students now have access to more resources, such as Apple computers with video-editing software, flashlights and strobe lights for learning about photography, and a darkroom for developing negatives. Classes in the lab include video game design, digital editing, photography, art shop, painting, and more. Tavitian praises the new wing for offering “a lot more organized space” to work with than before. With the extra space, HPAC was also able to add a new learning center to house several of the youth programs. There are currently five tuition-free teen programs and seven youth programs offered, and the center helps to distribute the many students at HPAC on any given afternoon. “It’s basically their space,” added Nourse. In the most recent youth event in the new space, he said, students organized their own pop-up art show and simply kicked back to make art. Before the renovations, there were only seven studios, and all were behind locked doors. 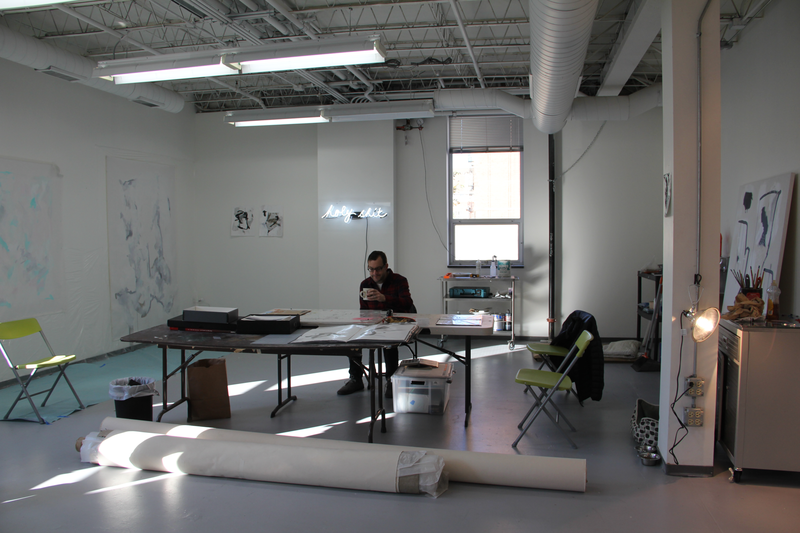 But as part of the Jackman Goldwasser Residency, three rental studios have been added to the original seven, and the rental period for artists has been extended from one to three years. The doors of the new studios stand open to the public, making the space more accessible and welcoming. As we were contemplating the artwork on display by Eric J. Garcia, a visitor said that she sometimes shares values similar to the artist’s through their works, but that she never really had the opportunity to see the artists’ studios. The wing offers the opportunity to do just that––to give the public insight into various artists’ works and their processes of creating. Among the artists present at the wing opening were Sheri Rush, whose work has been shown at HPAC, and Steve Juras, an arts advocate and educator, both of whom are working mainly on large-scale paintings. They seemed eager to be working in the wing. “The opportunities here are fantastic, today being one of them, where we can open up the studio to people like yourselves to see the work and have a conversation,” Juras said. I felt a similar degree of excitement, which emphasizes just how much artists and the public alike stand to benefit from such interactions.